A heavy fall of snow, heaviest 木曜日の夜間. Temperatures will be below freezing (最大 -2°C 水曜日の朝に, 最小 -9°C 金曜日の午後に). Winds decreasing (強風 南南東から 木曜日の夜に, そよ風 西から 金曜日の午前中までに). A moderate fall of snow, heaviest 土曜日の夜に. Temperatures will be below freezing (最大 -5°C 月曜日の午後に, 最小 -11°C 土曜日の夜に). Wind will be generally light. 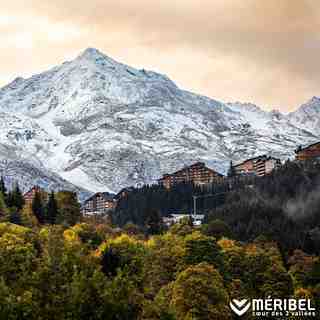 Meribel is a great base to get the best out of the 3Valleys. It’s central location makes it easy to link to other valleys but in Meribel itself long runs of all levels can be found on Tougnette, where Choucas is a great blue and the new Roc de Tougne chairlift makes access to Bartavelle: a fantastic black with accessible easy off-piste. 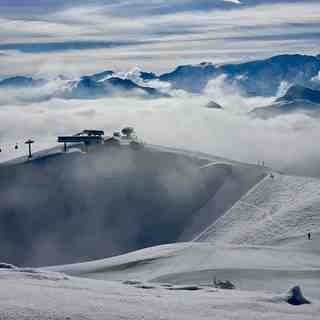 Top of the valley has north facing runs under Cote Brun which are great to explore and Mont Vallon has awesome terrain. Après-ski revolves around loads of venues with live bands playing. I agree, Folie Douce is a wanabee Ibiza club. But, if that’s your thing, Rond Point can be great fun though and LDV and Meribar are wild on the 'bring your sisters' nights! Food can be Savoyard or Indian or Sushi or Italian; you have loads to choose from..